The lead crystal panel tankard is classic design with intricate diamond cut detail. 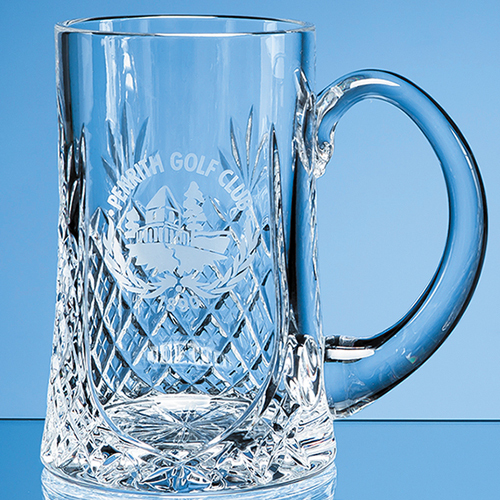 The tankard can be personalised for corporate events or as a gift that is sure to be well received by the recipient. It looks great on display at home or in the office. The large engraving area can be personalised with any crest, logo or wording.